-Axle Bolts: Choose any Chromo bolt option at NO EXTRA CHARGE! 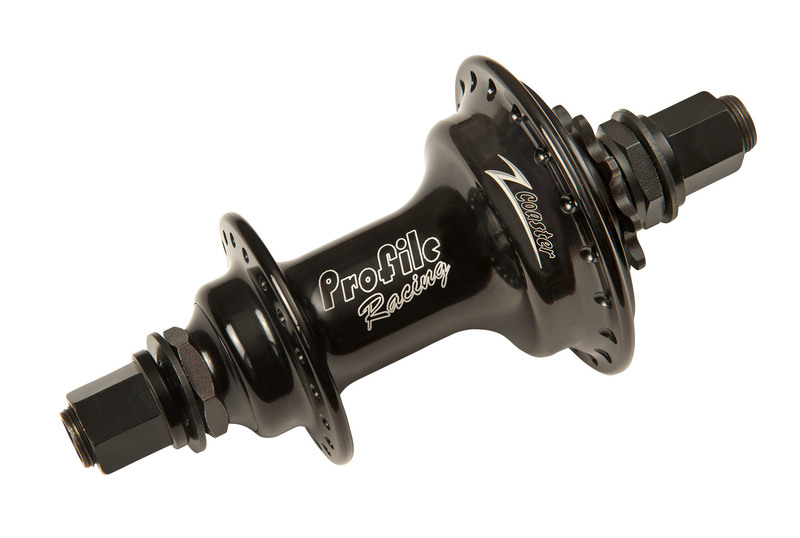 -The Z Coaster™ is a proprietary freecoaster style hub engineered, designed, & manufactured by Profile Racing. 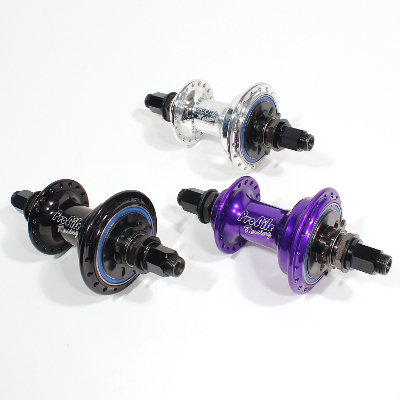 It essentially works as a spring/pawl cassette hub that can be disengaged into a freecoaster with varying slack options. The Z Coaster™’s Pawl is “Z” shaped to allow for engagement/disengagement by the center Slack Cam Ring. This allows for adjustable slack by being able to switch cam rings. 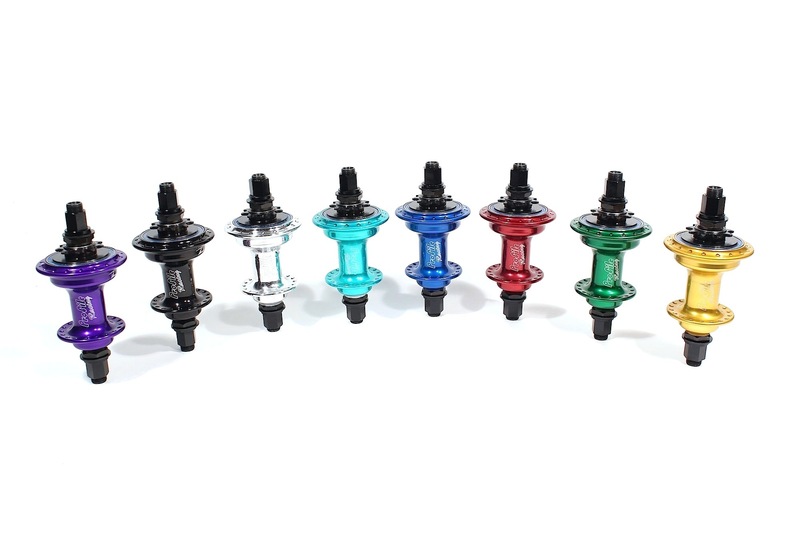 They are available in 20/33/45 deg, 60 deg, 75 deg, 90 deg, & 115 deg slack opti0ns. 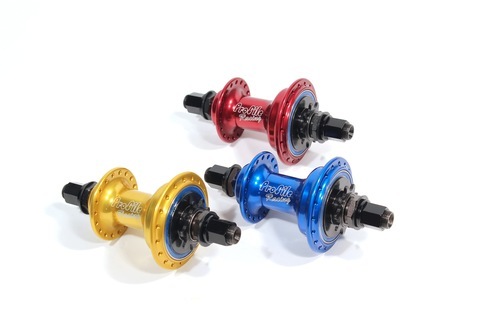 This means you can dial in the slack from less than 1/8 of a crank to a full 1/3 of a crank! The Z Coaster™ has an outer driver support bearing for the oversized driver mechanism. This bearing supports the driver from the outside. The Z Coaster™’s pawls and ratchet ring have a proprietary coating that offer smooth engagement. There are 48 points of engagement: all pawls engage simultaneously. Utility patents and design patents granted & pending. Made here in the USA at the Profile Racing factory.